White Inkjet Printable DVD+R combines an exceptional inkjet printable surface with Metal Azo professional grade recording performance and reliability. Ideal for developing, customizing and distributing DVD content. Offers 4.7GB memory capacity and 1X to 16X DVD recording speed. Customize your DVD titles with beautiful full-color art. 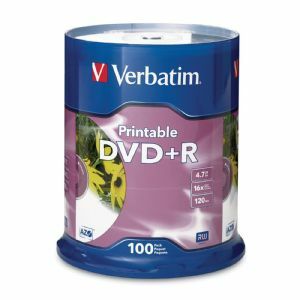 DVD+R offers superior ink absorption for full-color, high resolution, photo-quality printing and crisp and clear text reproduction. 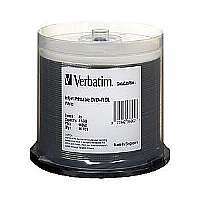 Compatible with inkjet disc printers. Metal Azo recording dye optimizes read/write performance. Compatible with 16X DVD+R drives.